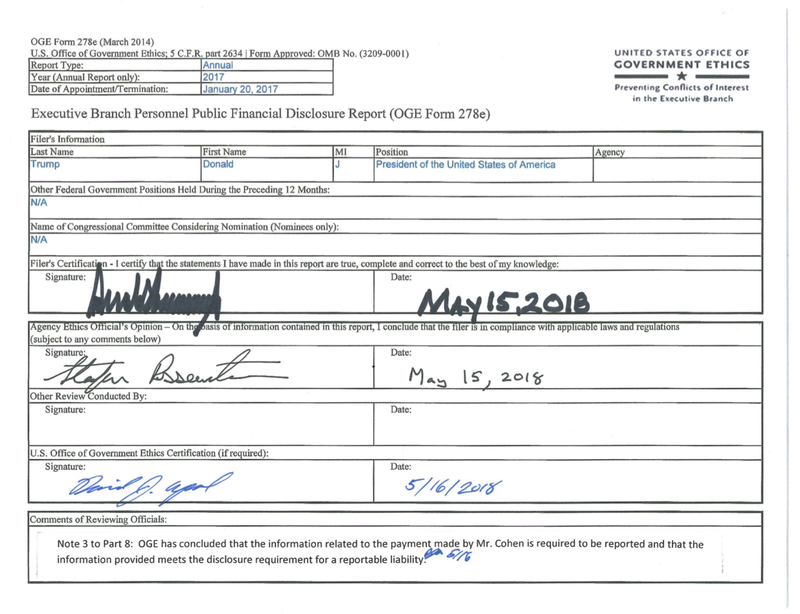 That, along with his recent insistence that he is “one of the elites” just like the Democrats because he has a “much better apartment than they do” gave me a good reason to post another look at Donald Trump’s 2017 Financial Disclosure. While most of the media focussed on Donald Trump’s net worth, it is also interesting to look at Donald Trump’s liabilities. As is typical of these declarations, one cannot figure out the exact amounts given that the liability amounts provided to the public are given as ranges. That said, we at least have an idea of the minimum amount of his liabilities which, as you will see in this posting, are rather substantial. For your information, 1094 South Ocean Boulevard is the address for a property located adjacent to Mar-a-Lago; the South Ocean Boulevard house is owned by DT Venture 1 LLC and 124 Woodbridge Road (not “Drive” as reported on the Disclosure) is the adjacent property owned by DTW Venture LLC, both located in Palm Beach, Florida. In case you were interested, Donald Trump purchased the properties decades ago; he picked up the 118 room estate at Mar-a-Lago in 1985 for more than $12 million and purchased the 1094 South Ocean Boulevard property for $1.6 million in 1993 and the property at 124 Woodbridge Road for more than $700,000. According to the South Florida Real Estate News, in 2017, the home on South Ocean Boulevard was appraised at $8.43 million and the house on Woodbridge Road was appraised at $2.3 million with the two homes and a vacant parcel of land generating $184,620 in property taxes on top of the $463,941 generated by Mar-a-Lago. Mortgages on the South Ocean Boulevard and Woodbridge Drive properties were paid in full during 2017. Unfortunately, as I noted above, given that his liabilities (and assets for that matter) are given in ranges, we are unable to ascertain the actual maximum amount of his liabilities. 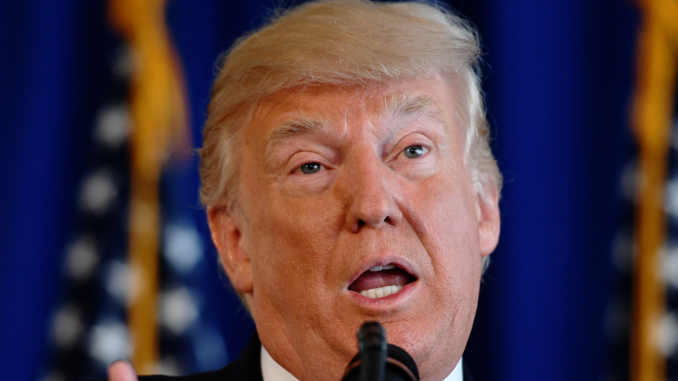 It is important to note that five of his mortgages are in excess of $50 million with no maximum amounts given, however, at a minimum, his total liabilities exceed $311 million. 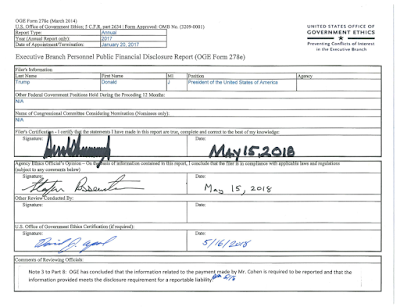 Given the ongoing coverage of the Stormy Daniels’ affair, this is a particularly interesting liability and, as you may have noted on the title page, the U.S. Office of Government Ethics (OGE) concluded that the payment made to Mr. Cohen is required to be reported as a “reportable liability” no matter what the note on page 45 may say.